Rest in peace Agent Zanyet-Pérez . My thoughts & prayers are with your family, friends, and the PRPD. I am sorry for your loss to the Family, Fellow Officers, and Friends. I will keep all of you in my prayers. RIP. Frank J. Corasaniti II, Ret. Fire Lt., Baltimore City Fire Department. May your family know that your dedicated service and sacrifice will never be forgotten, Agent Zanyet-Pérez. Rest in Peace now, brother. We've got the watch. So Sorry for the loss, I pray that GOD will watch over the family and fellow officers that served with this officer. May God give some sense of peace. We all lose when a LEO falls. Take hope in the fact they are now patrolling Heavens Streets. Again my deepest regrets for the loss. Today is a month of your sad and painful departure. It has been a difficult process. Watching our 4 children cry inconsolably, even your other daughter, is very hard because you are no longer physically, the face of impotence in the face of reality and the emptiness that you leave in the family is immense. . I try to be strong so that they are strong, but everything breaks my soul. Although we were divorced, we got married 25 and we built a lot. Among them, your dream of being a policeman and now I see why you put that happy face on the day they accepted you. It was a hard process because you had not finished your fourth year to apply and we got down to work, we supported you, we helped you finish your high school and you were behind your dream, you achieved it, and although today we suffer your loss, celebrate your achievements and that you take care of our children and granddaughters from heaven. I know it gave you time to give your soul to God, I know ... God was already dealing with you and I take you doing what you most passionate about your work. You were a hero and you were never a policeman of the age of 15 and 30, you were a policeman of passion for what you did and did a lot, until you gave your life for your passion. I congratulate you on all your achievements and I promise to watch here on earth for our children and grandchildren. I will always watch you remember and know how the great police and dad that you were. Rest in peace, see you soon. Sir, I would just like to say thank you for your service and sacrifice for the citizens of Puerto Rico. And to your Family and loved ones, I wish to extend my deepest sympathy. Thank you Agent Zanyet-Perez for your dedication and for paying the ultimate price for the fine folks in the great country of Puerto Rico. You are a true American Hero !!!! My thought and prayers are with your family, friends and co-workers. May you forever, rest in peace, my brother. Rest in peace brother. Thank you for your service and dedication. Thank you for your service. May you rest in peace, my brother. On behalf of the Klamath County Sheriff's Office in Klamath Falls Oregon, we send our sincerest sympathy in the recent loss of your Agent, Alfred Zanyet-Perez, in the line of duty. It is always a huge loss when a agent makes the ultimate sacrifice. His bravery and courage to protect and serve your community bhas not gone unnoticed. We are so very sorry for your loss. Our family understands how difficult it is to endure a sudden death of your Officer. May God bring you peace, and know that you are not alone. Family of Robert F Grim Sr.
Family of Robert F. Grim, Sr.
On behalf of the Hillsborough County Sheriff's Office Honor Guard, we send our deepest sympathies and condolences. R.I.P. Agent Perez, may God bless you and keep you. May God comfort your family, friends and all our brothers and sisters with the Puerto Rico Police Department. May God wrap you in his loving arms and grant your family and friends strength, comfort and peace during this difficult time. We will keep you all in our thoughts and prayers my brother. Please know that you and your service will never be forgotten. Fidelis Ad Mortem my brother as we remain Standing Tall For Those Who Have Fallen. We have the watch from here. Hillsborough County Sheriff's Office Honor Guard, Tampa, Fla.
God bless you- RIP hermano. Descansa en paz mi hermano. Rest in peace my brother. God bless you Agent Alfred Zanyet-Perez for your service and sacrifice. Thoughts and prayers go out to your family and friends, and to your brothers and sisters from the Puerto Rico Police Department. Rest in Peace Brother. 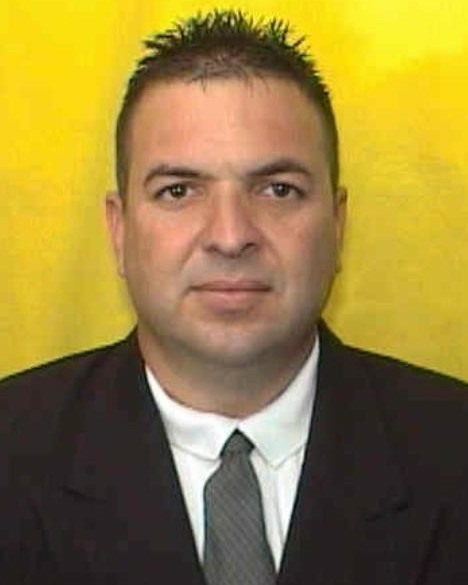 My condolences to the family and friends of Agent Alfred Zanyet-Perez. Losing a loved one is always difficult. Please take comfort in Jesus words found at John 5:28,29 where he said that there would be a resurrection. Just think of the time when you will see your loved ones again, in paradise conditions, here on earth. I am sorry for your lost.